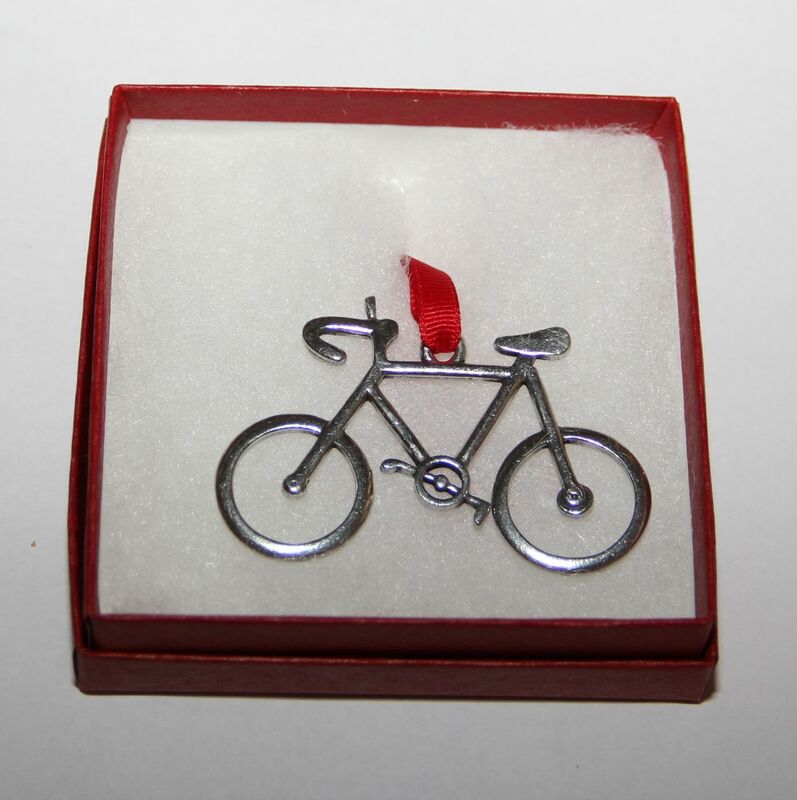 This beautifully hand-crafted pewter Road Bike Ornament will make an elegant addition to your holiday tree or a great gift for your favorite cyclist! Our pewter ornaments can be hung from a tree, mantel or anywhere else your imagination sees fit! 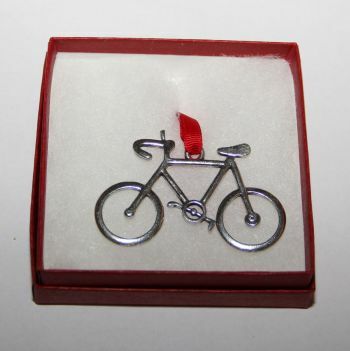 Actual size of ornament is 2.5" x 1.75"